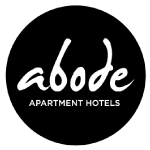 Abode Hotel Woden provides studio hotel accommodation, including new and innovative rooms to make your stay as comfortable as possible. A selection of our rooms include fully equipped kitchenettes to create delicious meals with the help of the Abode Pantry. Abode Woden provides an innovative offering; our Fit studio, which includes an exercise bike in the room for a great fitness outlet in a private setting. We also offer our Accessible studio for the mobility impaired. 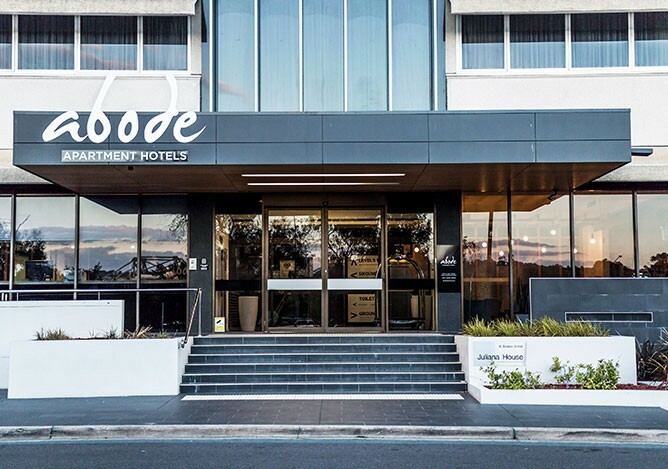 If you are travelling for business, Abode Woden has meeting rooms available, as well as our new restaurant, No. 10 Restaurant + Bar for when you need a bite to eat. Rooms are limited and will book out quickly, so call Abode Central Reservations on 1300 1 ABODE and make your reservation now to avoid disappointment! All rooms include: espresso machine, refrigerator, flat screen TV (with FOXTEL), laundry facilities, and FREE WIFI. Flexible Rate: These bookings can be changed and cancelled up to 24 hours prior to arrival. Payment required at least 24 hours prior to arrival. Restricted Rate: These bookings must be paid in full at the time of booking, cannot be changed or cancelled at all without charge. Available up until one month prior to arrival date. UPDATE 25 March: Restricted rate is no longer available. Breakfast not included in room rate: Please ask hotel staff at time of booking. Parking: $12/day MON-FRI, free parking SAT-SUN. Grocery store on site: Visit the Abode Pantry for your essential needs. Restaurant on site: Abode's very own restaurant & bar is the perfect place for a quick drink, or a multiple course dinner. Quoted rates available until rooms booked out. Call Abode Central Reservations on 1300 122 633 OR +61 2 6108 4950, Monday-Friday 8:30-17:00 AEST. Bookings after hours can also be made via email at reservations@abodehotels.com.au - all after hours bookings will be made at Abode Woden with the night manager. Contact number is for accommodation booking only, and should NOT be used to contact the Doeberl Cup organisers. Quote group block booking code "DoeberlCup" to obtain the special rates, otherwise you may be advised that no rooms are available. Provide your credit card details - this is required to secure your booking. New Restricted Rate must be paid in full at time of booking. Flexible Rate payment is required at least 24 hours prior to arrival. Please note that any no-show bookings will be charged one night's accommodation. The Woden Hotel is minutes from the Canberra Hospital, Deakin, Parliament House and Westfield Woden Plaza Shopping Centre. 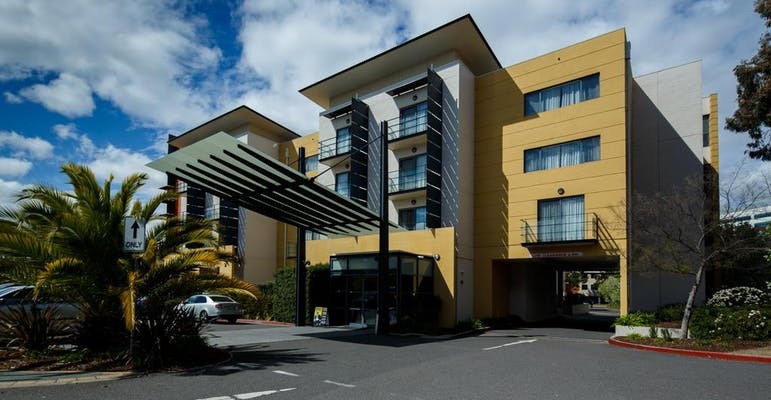 Boasting large spacious accommodation rooms offering a comfortable and enjoyable experience. Rooms are limited and will book out quickly, so call The Woden Hotel on +61 2 6281 7733 and make your reservation now to avoid disappointment! All rooms include: Tea & coffee facilities, flat screen television with FREE in-house movies, bar fridge, dining table, desk, ironing board, FREE PARKING and FREE WIFI. Cots available at extra cost. Restricted Rate: These bookings must be paid in full at the time of booking, cannot be changed or cancelled at all without charge. Available up until one month prior to arrival date.UPDATE 25 March: Restricted rate is no longer available. OR call Abode Central Reservations on 1300 122 633.